32 Rue Bouffard has a Walk Score of 78 out of 100. This location is Very Walkable so most errands can be accomplished on foot. 32 Rue Bouffard is a 23 minute walk from the SJ exo2 - Saint-Jrme at the Gare Sainte-Rose stop. This location is in Laval. Nearby parks include Berge des Baigneurs, Île Joly and Île Darling. Explore how far you can travel by car, bus, bike and foot from 32 Rue Bouffard. 32 Rue Bouffard has some transit which means a few nearby public transportation options. 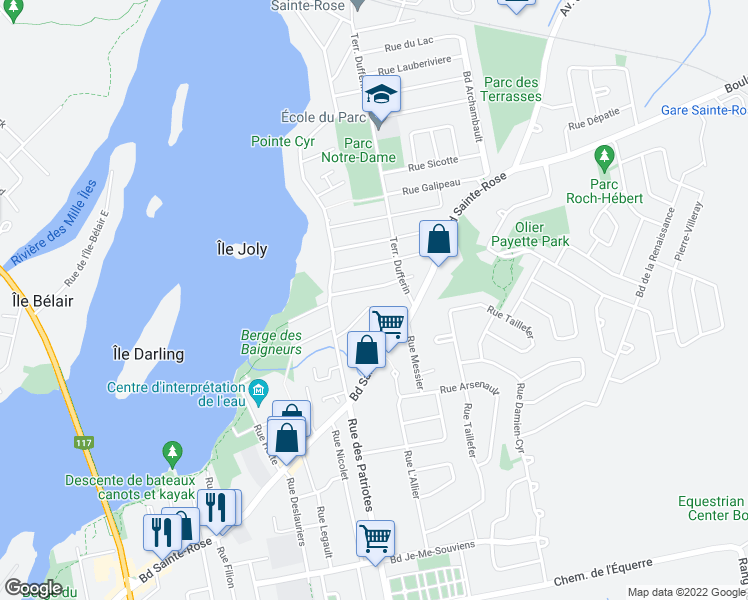 View all Laval apartments on a map. This location is in the city of Laval, QC. Laval has an average Walk Score of 47 and has 401,553 residents.